I must preface this post by saying that this is not my kind of holiday treat. The abundant selection of fresh fruit in the produce department is difficult to resist lately, but when faced with the choice between a sweet melon and a cake shaped like watermelon, I'm going with the cake. With that said, these are a delicious dessert option for summer. I almost described them as "bikini friendly" because that's a buzz word around this time of year, but I hate that expression. What makes something bikini friendly? Can I not eat cake in a bikini? I can and I will. These are obviously Fourth of July inspired, but you could forego the cheesecake filling and use Nutella to elevate these sweet little morsels. An idea to keep in your back pocket until February maybe? I actually have been tempted by Philadelphia's new Snack Delights. I'm sure you've seen them. They're containers in the refrigerated aisle with a photo of fruit or some other snack food being dipped into it's health's demise. One flavor deliciously pairs cream cheese and chocolate together and I would like to eat it plain with a spoon. 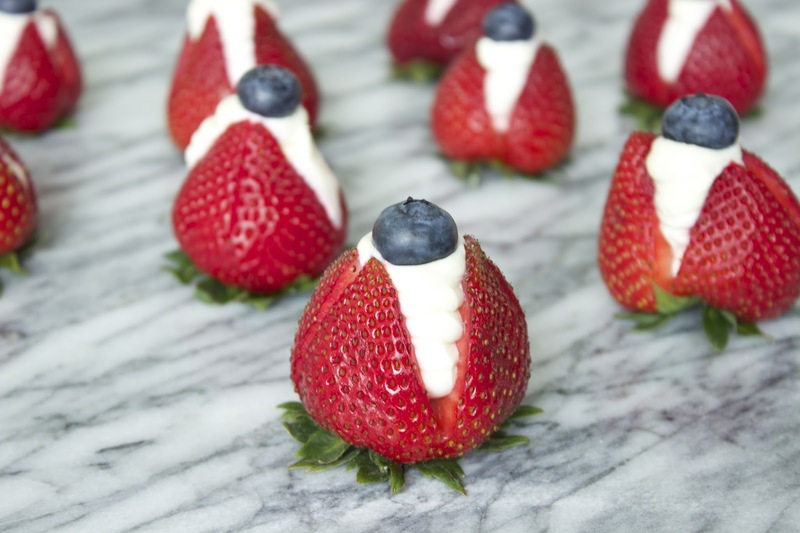 So in closing, these are a wonderful treat to bring to a Fourth of July party or barbecue that you may be attending this week. They are super easy to whip up and their festive presentation is darling. Most importantly, they taste sweet and fresh and you can enjoy without guilt! 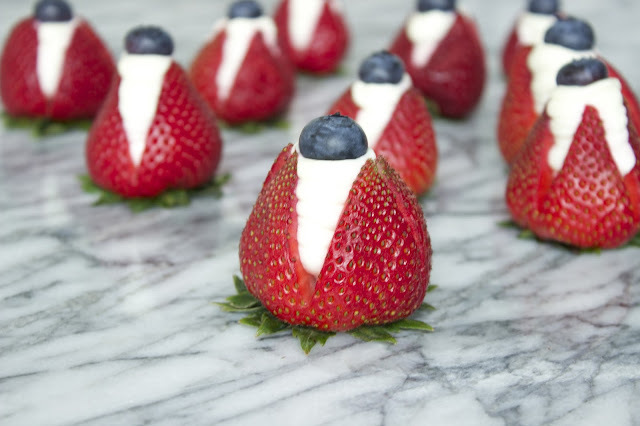 These look delicious and perfect for the 4th of July! So perfectly delicious! Thanks for linking up with What's Cookin' Wednesday!! These are so pretty and I bet delicious! Thanks so much for sharing at Mom On Timeout!